TfL’s refusal to grant Uber an operating licence last September not only sent shockwaves through the company it ignited a political battle with govement ministers who had heavily campaigned for Uber to be given an easy ride. But so far, its customers would hardly have noticed, as the company has been allowed to continue operating in the capital, having appealed the decision immediately after. This morning, that came to a head....as Uber, TfL and London’s media descend on Westminster Magistrates Court for the appeal hearing. It kicks off what is expected to be a three-day hearing during which Uber will try to argue that it is no longer the bad boy of the tech industry. Uber will argue they have made a series of changes to its app, changing the way the company operates in London since September, including flying chief executive Dara Khosrowshahi into London for crisis talks with TfL commissioner Mike "on side" Brown. (Funny though, Mike "on side" Brown has refused point blank to meet with Taxi trade and recently ignored a Scheduled quarterly Commissioners meeting wit senior Taxi trade representatives. The company will hope the changes - such as improving the way it deals with complaints - are enough to not only convince the court that it has turned over a new leaf, but TfL itself. Having the regulator onside will be a big help in this court battle. One the table to day is Uber record number of rapes, sexual assaults, customer accounts hacked, overcharging, discrimination towards customers, road traffic accidents and incidents, fake medicals, 13,000 fake criminal record DBS checks to name but a few. Uber have operated illegal from day one! The big problem being that certain senior TfL officials knew this and covered Uber's back. 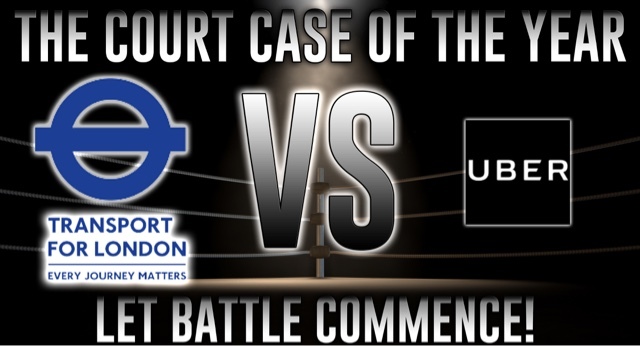 For Londoners who have come to rely solely on Uber (until the price surges), this week’s appeal could have big implications, but it is just as important for the company itself. London is one of Uber’s most profitable markets ' the Jewel In The Crown'...and its continued operation in the capital is crucial to the ride-hailing app as it seeks to stem losses and prepare for an initial public offering next year. It is also a pivotal moment for Mr Khosrowshahi himself, who has sought to reform the company under his watch. A stamp of approval this week would burnish his credentials significantly. But can TfL be trusted. Look at the mess their legal teams made of the meter case. They've had evidence which should have shut the company down from day one and they've done nothing with it. They knew in January last year about the fake DBS certificate and under Helen Chapman's watch they buried this by October. Source : Telegraph, Sun, Mirror : Image Orion Gotch.